Lock in a great price for Vanity Suite & Spa +16 by VIVA – rated 8.9 by recent guests! On most days there was a excellent choice of well prepared food. The spa facilities were of a good standard. Nice entrance , clean & tidy. Pool & pool/garden area very clean & tidy Food was good, plenty of choice , Chief’s very friendly as was restaurant manager ( burgundy shirt ) Shop & beach within a few minutes walk Good size room (apart from few niggly points) Excellent private terrace with hot tub (in royal suites) A quiet & relaxing hotel. Everything was perfect, the room, the food, the location and grounds. Proximity to the beach. Could not fault anything and really want to go back again. Great quiet place, 10 minutes walk from beautiful beach with always available sunbeams with umbrellas. Food was very nice...we had all inclusive. Service was great and stuff very kind and helpful. We will definitely go back. Staff were excellent throughout. They couldn't do enough to help. There were always enough sun loungers around the pool, so need for the morning rush. We went for meals at different times and there was always a relaxed atmosphere. Very nice hotel with great facilities and fun programs. Vanity Suite & Spa +16 by VIVA This rating is a reflection of how the property compares to the industry standard when it comes to price, facilities and services available. It's based on a self-evaluation by the property. Use this rating to help choose your stay! The adults-only Vanity Hotel Suite enjoys beautiful natural surroundings. Perfectly located between the mountains and the sea, it offers stylish rooms with free Wi-Fi and a hydromassage bath. The rooms all have a balcony or terrace, satellite TV and a bathroom with hairdryer. 4 units are available for disabled guests. 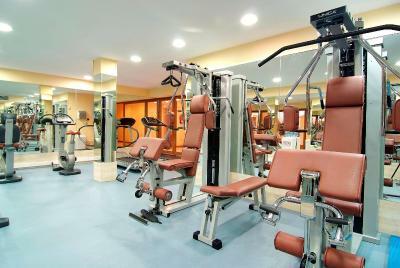 Facilities include indoor and outdoor swimming pools and a gym. There is also a tennis and multisports court, as well as a shooting range. Water sports and horse trips are just a few of the activities arranged by the hotel. The hotel is seasonal and is open from April to October. When would you like to stay at Vanity Suite & Spa +16 by VIVA? This suite features a balcony, hot tub and DVD player. Featuring a balcony or terrace, this stylish suite has free Wi-Fi, a hydromassage bath, a seating area with satellite TV, and a bathroom with hairdryer. This spacious room has a large bathroom with spa bath, king-size bed, and a private garden with hammocks. From the private garden you have direct access to the pool with your own key. These suites also include free films, use of an iPod, and a garden and pool view. Offering pool views, this stylish suite has free Wi-Fi, a hydromassage bath, a seating area with satellite TV, and a bathroom with hairdryer. There is a terrace or balcony. This spacious suite offers a 66 ft² private terrace with a hot tub and a Balinese bed. It also has a living room with satellite TV. House Rules Vanity Suite & Spa +16 by VIVA takes special requests – add in the next step! Vanity Suite &amp; Spa +16 by VIVA accepts these cards and reserves the right to temporarily hold an amount prior to arrival. Vanity Suite & Spa +16 by VIVA accepts these cards and reserves the right to temporarily hold an amount prior to arrival. The facilities at the hotel are underwhelming, old and tired as is much of the infurstructure. The hotel is understaffed; a 20-30 min wait for a drink is not uncommon. Ordering food is also a bit of a lottery; on occasion no meal turned up at all. My overall experience was that the Vanity Suite & Spa was a 3 star pretending to be a 4 star. Breakfast was a little disappointing. Very cheap produce and buffet only. La terraza royal y la tranquilidad. Having booked the ROYAL SUITE (block 5) I was not impressed to see a thick layer of dust on glass shelf above mini bar , the bed was very uncomfortable, mattress dipped on one side , hard pillows on bed with no choice of soft pillows available, flannels / small face towels not replaced after day two? Asked for more but was given hand towels. There was DANGEROUS broken uneven decking near hot tub. Wood around hot tub in need of a fresh bit of paint. Security box/safe did not work & hotel had cheek to charge EXTRA €3 per day for it on top of the expensive room rate! We couldn't think of anything we would change. It's a bit costlier than what I would expect for such a property. Tacky elements such as cheesy evening entertainment and "aqua gym" with loud techno music that shattered the peace and quiet and were at odds with the calm, relaxing, classy feel advertised and made it feel a bit like a "german butlins". Staff round pool etc not very friendly / attentive - got intentionally blanked and ignored a lot - mostly German clientele (which is no problem for me) and got the feeling the staff just don't like brits. Lacking in the little touches that make a big difference.... cold drinks were served in hot glasses etc. Food below average in hotel and all round resort (whole place inc. beach restaurant is owned by same company)...distinct lack of quality and care in the whole process. Pool and garden area ok. Room nice and spacious and quiet. Reception staff friendly. Breakfast buffet had good selection. Close to stunning, wild looking beach with some of the clearest, turquoise blue water I've ever seen in the world. Scenery and wider area of Capdepera / Levant absolutely beautiful and some great beaches and restaurants to be found if you do some research and are prepared to travel 10-20 mins from the hotel.